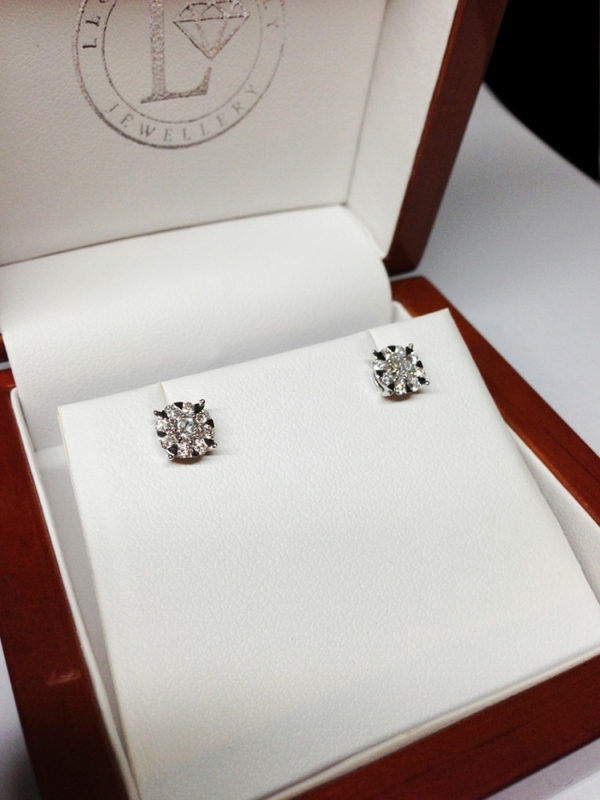 Diamond studs 0.50ct, these studs are perfect for everyday wear and for an elegant, understated look. consisting of eight diamonds surrounding a larger centre stone in each, This beautiful setting gives the impression of a single large diamond. Set in 9k white gold with a standard post and butterfly fitting. 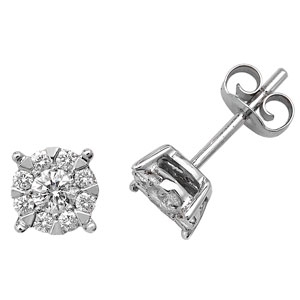 Images realy don't do these earrings justice, they are sure to impress with their incredible sparkle.